I”m a lifelong entrepreneur, born with enough musical ability to have toured w/ a band in earlier days, but not quite enough to make it a career. At 25 years old, with a combination of creativity, youthful exuberance, a passion for business and $15,000 I borrowed from family, I started my first company in 1985 – producing corporate marketing communications (renting A/V equipment, producing video, executive presentations, producing/staging major corporate events, etc.). I was fortunate to have a father-in-law in the computer business and he convinced me IT would drive the direction of business. So by 1987 I was using PCs to create Marketing Communications content for clients… Within a few years we were producing the earliest interactive multimedia sales tools. In 1991 I began serving Fortune 100 clients as a Communications Consultant for major IPOs & Debt Offerings… consulting and producing offerings for the biggest names in business – Duracell, Owens-Illinois and every other KKR deal, Ronald Perlman”s Revlon and more, a GM-Hughes Electronics offering, privatizations for companies in Italy and Argentina, deals in Mexico, etc. From 1990 through 1996 we produced more than 200 deals. I personally worked with the largest clients, spending significant time on private planes with senior management teams. I learned so much about how to/how not to run a business on these 3 to 4 week tours throughout Europe and the US while observing the various CEOs, CFO’s, Senior Investment Banking executives and Venture Partners. By “92 I began grappling with what I felt was an important short-coming for the companies we served – they shared a challenge communicating top level strategy and direction to a dispersed employee population. This wrestling sowed the seeds of a new product I called Mentor®, which turned into a new product category in the eLearning sector, now called Electronic Performance Support System, or EPSS. Mentor streamed multimedia content over networks directly to any desktop to deliver… just what you need to know, just when you need to casino know it. Everyone”s using the concept now, to varying degrees of success, but back then… streaming content over networks at a scant 2Kbps was unheard of… Using audio at work? A major sales hurdle. Using multimedia as a strategic business tool? Ridiculous! Mentor’s breakthrough came when I focused on selling its business value to CTO’s, COO’s & CFO’s because in initial deployments for the ealriest Knowledge Management System for KPMG, Mentor tripled system usage, eliminated training costs, proved to speed enterprise deployments and reduced Help Desk calls up to 40% – all of this translated into a massive ROI. Mentor was birthed as a business communications tool, not learning courseware. So even though it was categorized as a subset of eLearning, traditional learning companies did not understand its effectiveness. 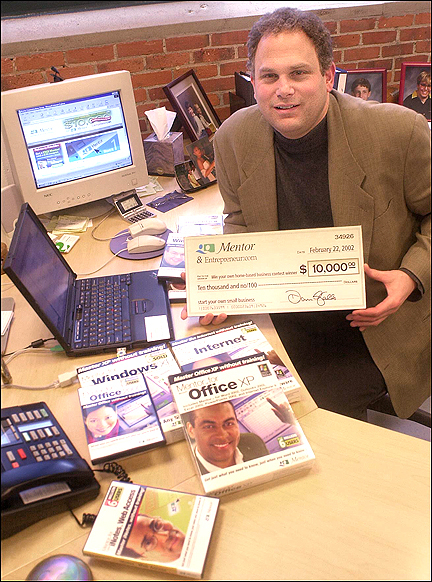 By 1996 my father-in-law joined the company and turned the Mentor concept into a fully fleshed out product we could leverage to sell content licenses of major enterprise software and as a custom service offering. Our first major deal was building a Mentor for Lotus Notes for IBMs internal deployment where we also negotiated a reseller agreement, leveraging IBM’s market reach to access the Notes market, and it built from there. We wound up selling over 14 million product licenses and building custom Mentors serving over 40 million users in both B2B & B2C markets. The trajectory of the Mentor product was pretty straight forward. The company I founded to make it all happen? Far from it. Growth outpaced cash flow, process pains from business acquisitions, “Angel” investors turned devilish – complete with Boardroom backstabbing and massive personal stock dilution all resulting in an investor-forced company sale, followed by massive growth, a parent company’s bankruptcy, a buy-back, VC investment… a huge fall-off after September 11 terrorist attacks, 30 months of casf flow-bleeding and downsizing, a “mercy” sale and, finally, a departure in April 2006 and consulting work ever since. A wild ride. And that’s the short version.